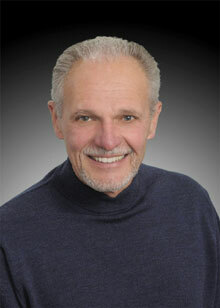 Mike Wilson, Broker, has 37 years of experience in sales, advertising and marketing. A graduate of Southern Illinois University, with a major in Marketing, Mike's background includes experience as a sales manager, sales trainer and as a marketing manager, both domestically and internationally, for Mattel, General Foods and Intex. His experience also includes technical sales and training with Biomarine, NTRON and Applied Ecological Systems. During a visit to Redmond Mike and his wife Bonnie discovered the activities that draw so many to Central Oregon and they fell in love with the Bend lifestyle. With endless recreational activities and an exceptional (as well as accessible) "cultural scene" Mike and Bonnie made Bend their weekend home. But weekends were not enough and Mike sold his Portland business and Bonnie soon found their permanent home in Sunrise Village. Mike’s interests are in residential real estate in distinctive and unique areas of Bend, and he enjoys introducing the many splendors of Central Oregon those wishing to relocate. Mike works with the Make-A-Wish Foundation of Oregon, donating $500 dollars to the organization with every sale. And Mike can occasionally be found 'in the air' donating his aircraft and time as a volunteer pilot for Make-A-Wish Foundation benefactors. Please give me a call at 977-5345.